The homepage of the Dutch Wikipedia. 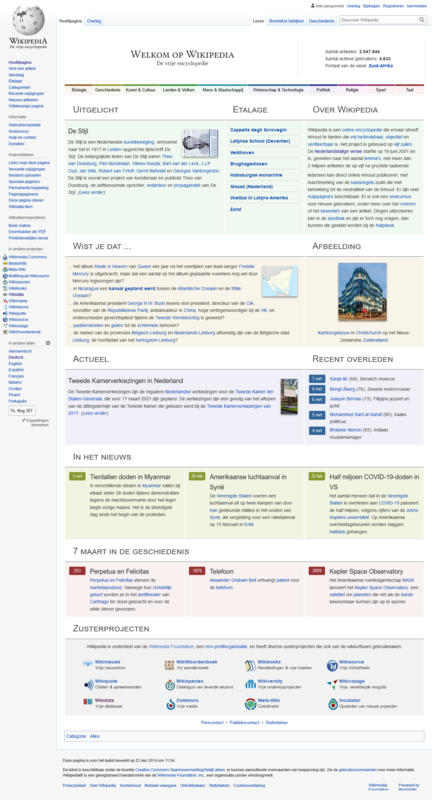 The Dutch Wikipedia (Dutch: Nederlandse Wikipedia) is the Dutch-language edition of Wikipedia. This edition was started in June 2001. It became the 3rd largest edition in April 2013, but dropped to fourth. It has over 1,900,000 articles. This page was last changed on 13 August 2018, at 13:45.